David Murphy Racing :: Mr Hennessy leads all of the way! 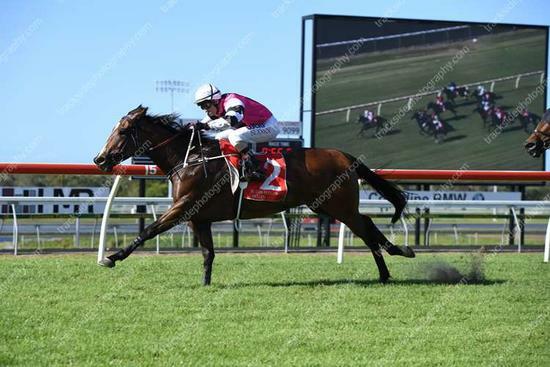 Murphy Racing headed north to the Sunshine Coast on Wednesday with one runner in Mr Hennessy. After running two fourths the past two runs, Hennessy was looking to make amends at the Sunshine Coast for owners who have been very patient. Drawing the inside alley young in-form hoop Tiffani Brooker jumped him out and straight to the front. Being pressured for most of the way by the horse outside of him, he really dug deep in a neck and neck battle to the winning post to come out on top for some very happy owners. Mr Hennessy is such an honest horse having not missed a cheque in his past 7 runs. That run brought up his fourth win of his career netting just over $75,000 in prizemoney for owners. Lets hope there are plenty more wins in Mr Hennessy.